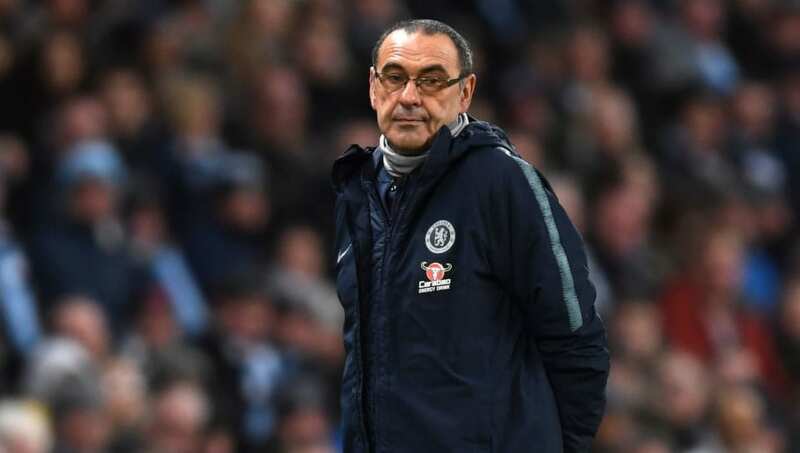 ​​Chelsea manager Maurizio Sarri has revealed that he rarely gets to talk with club owner Roman Abramovich, claiming that he does not know what to expect, while also apologising for the heavy defeat the team suffered against ​Manchester City. City demolished Chelsea 6-0 at the Etihad Stadium on Sunday night, depleting the Blues goal difference to the extent that they fell below Arsenal and moved down to sixth place in the league table. Sarri said he was sorry for the heavy defeat, saying he was quite confident before the game, and was unsure if he was going to receive a call from the club's owner anytime soon. "If the president calls, I'll be happy, seeing as I never hear from him," Sarri said to Sky Sport Italia, according to ​Goal. "To be honest, I don't know what to expect. Manchester City play fantastic football and I saw an extraordinary team. We had a total blackout." "It's very difficult to describe our performance. It's also very difficult to understand because during the week I really was very happy with the team. My feeling was very good yesterday in the meeting and the warm-up today." It remains to be seen if the team can pick up from the defeat and get back into the top four race, with only one point separating them and Manchester United in fourth place.